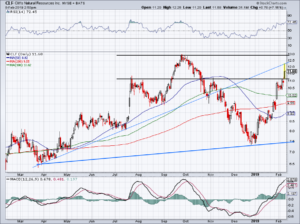 Click to Enlarge Up just slightly after beating on earnings and revenue expectations, Expedia (NASDAQ:EXPE) has been on fire lately. Up big from its December lows, Friday’s rally was icing on the cake. Because of the results and the big rally, it feels like profit-taking today. 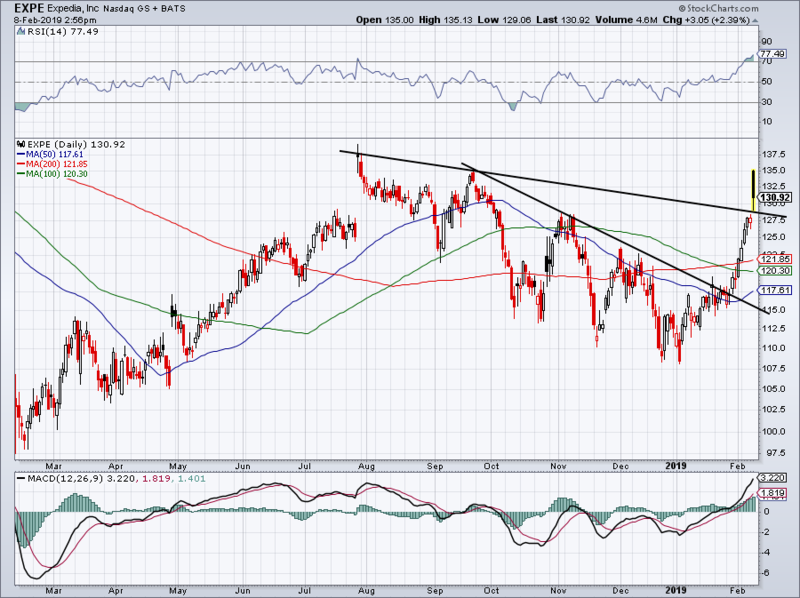 Importantly, shares are bouncing off the backside of prior downtrend resistance (black line). It would be encouraging to see EXPE consolidate north of this level before going on to take out Friday’s highs. 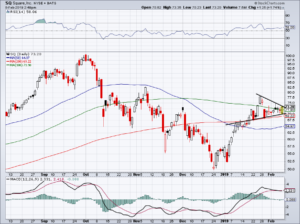 Below this mark and a test of its 200-day moving average is likely in store. 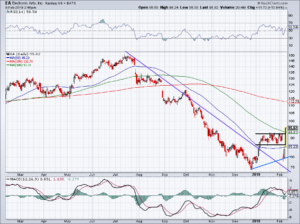 Click to Enlarge Electronic Arts (NASDAQ:EA) was puking this week after it reported earnings, sitting in the doldrums with Take-Two Interactive Software (NASDAQ:TTWO) and Activision Blizzard (NASDAQ:ATVI). Shares are up 14% on Friday after a solid day on Thursday as well. Sometimes when the volatility is heavy, it’s best to stay on the sidelines. For traders that really like EA or traders who were in EA before this move, consider limiting your risk now. A stop-loss near $93 — pre-earnings resistance and the 100-day moving average — would be prudent at this point. For those with more risk tolerance, I wouldn’t let this one get below $85. Good call on this dip-buy, Luke Lango. Click to Enlarge Surging almost 8% on the day, Cleveland-Cliffs (NYSE:CLF) is enjoying its day in the sun after reporting fourth-quarter earnings. The move through $11 is notable and for investors who are long, may be a good stop-out point should CLF reverse course in the next few days. However, should it consolidate and begin to move higher, keep a few levels in mind. The first is Friday’s high, near $12.40. The second is $13, a level where CLF stalled out near at the beginning of the fourth quarter. I would love to see $11 to $11.25 hold up as support and for CLF to push higher. 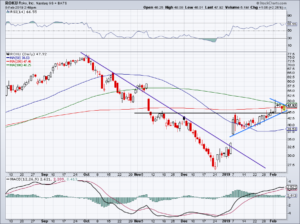 Click to Enlarge Let’s look at a few momentum names that traded well on Friday, the first of which is Roku (NASDAQ:ROKU). Once it was through $45, Roku started to catch some traders’ eyes. It wasn’t long before it hit $50 and now it’s digesting the move. 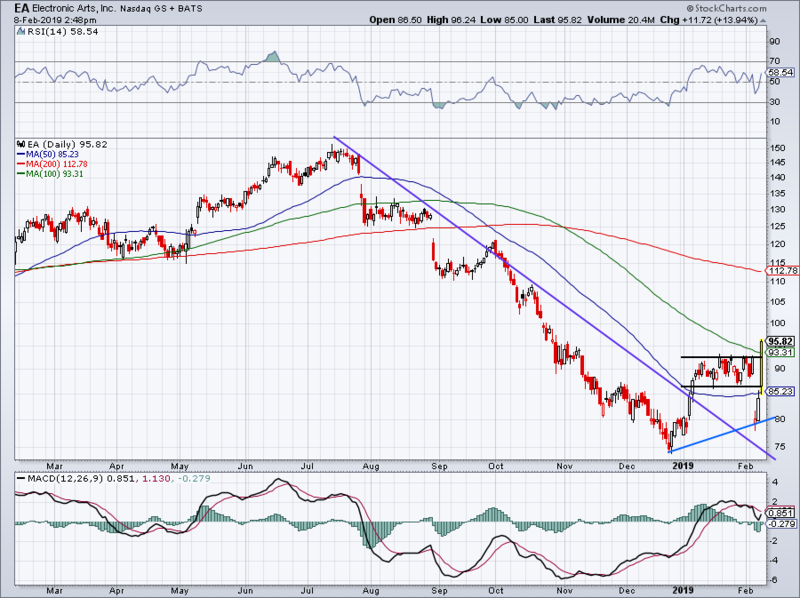 Our trade in Schlumberger (NYSE:SLB) was looking good too, but that proved to be a failure. Let’s hope Roku isn’t. 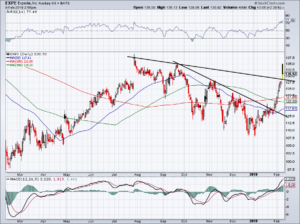 A breakout over $48 and the 100-day moving average could easily send this high-octane name back to $50 or more. But don’t be surprised if it treads around $45. Click to Enlarge Another name that’s been holding up well? Square (NYSE:SQ). Shares continue to grind higher and are up about 1.6% on Friday. 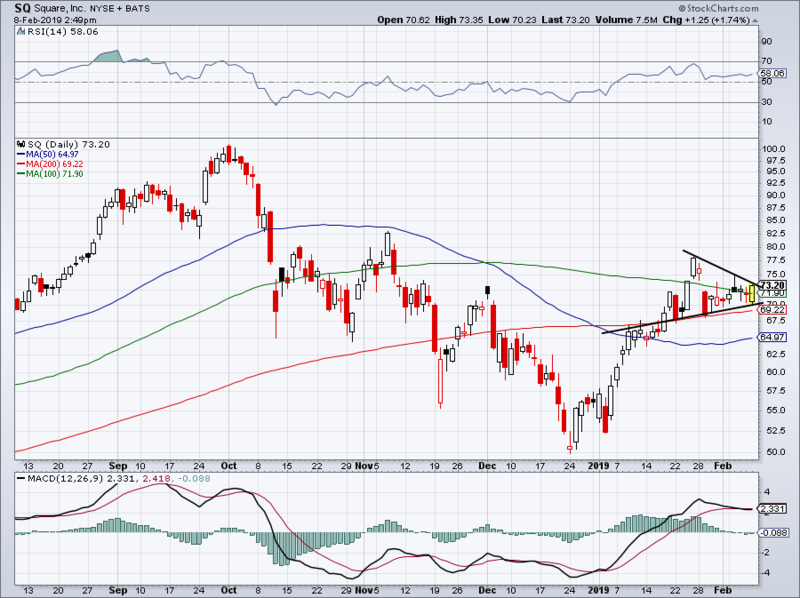 Now above its 100-day moving average, Square is looking for more upside. However, for ROKU, SQ and other longs to work, it will likely need the overall markets to hold up. Indices reversed off the lows on Friday and got back to near flat on the day. In order for these names to work, bulls need to grab control next week. Bret Kenwell is the manager and author of Future Blue Chips and is on Twitter @BretKenwell. As of this writing, Bret Kenwell is long ROKU. Article printed from InvestorPlace Media, https://investorplace.com/2019/02/5-top-stock-trades-clf-ea-expe-sq-roku/.